Goodies all ready for you to enjoy! We heard you had sugar?? New Breaker Box – I thought we could be powered by sugar. Chris said we needed “real power”. Humph. See that – that’s the smile of progress! 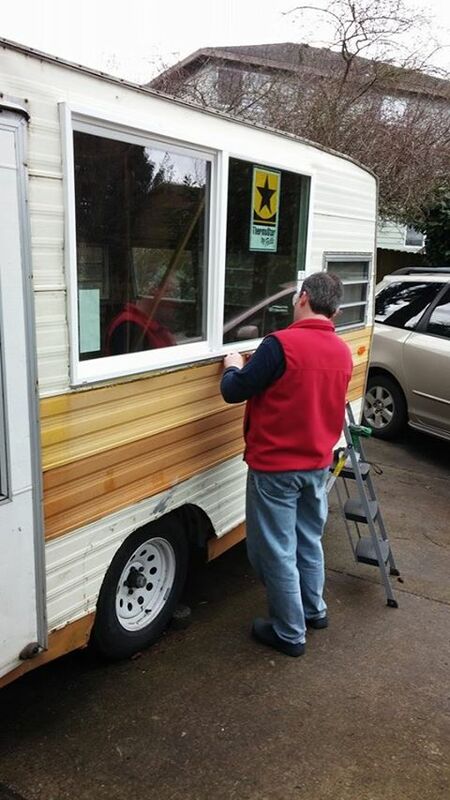 First look at what will soon be–after much renovation– deda’s mobile bakery! This is where the new customer walk-up window will be installed! 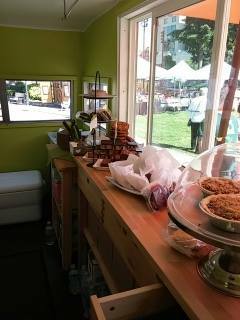 You will be able to view our cakes from here! Chris eager to take on the challenge! A nice place to sit and eat…too bad it’s coming out! Chris still in high spirits! Wow – there’s still so much to do. 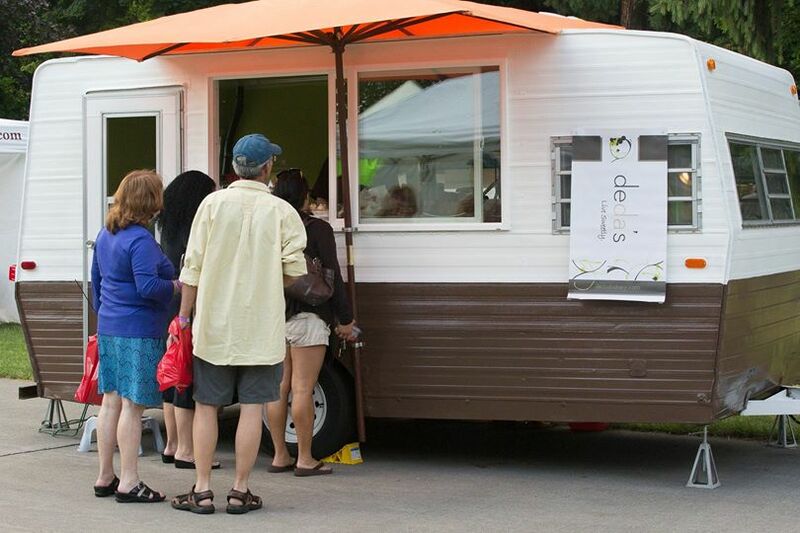 deda’s IS bringing sweet treats to the streets! 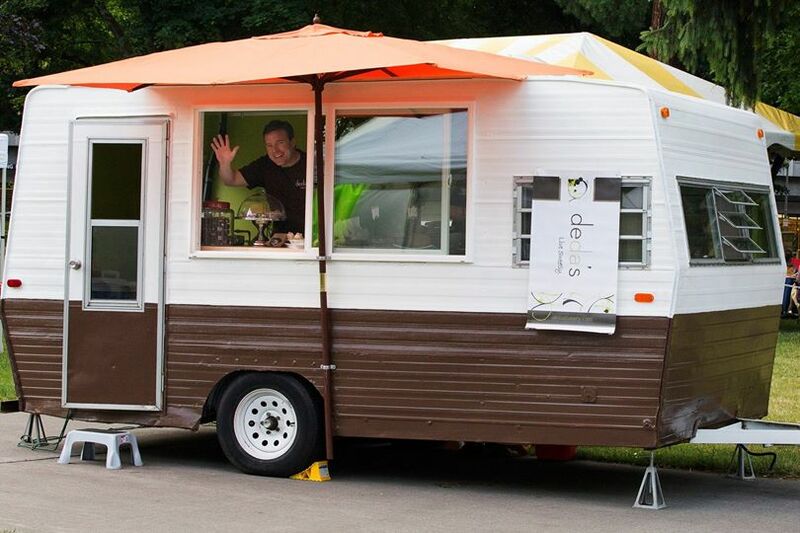 We are opening a mobile bakery that will serve the communities of Vancouver, WA and Portland, OR. We are in the process of outfitting a vintage trailer, filling out all required paperwork and planning our extended menu – please check back for our progress! And thank you to our community for believing in us! PROGRESS UPDATE: demo work is done, new sub-floor is in! Framing almost done (pics not yet taken for that…check back for more).